To reenergise myself I am booking a holiday soon, while making the reservations for my next holiday the next thing that came to my mind was what travel case would I be taking with me. I really want a suitcase that’s stylish yet lightweight and has enough room to pack all my clothes. I like to carry one cabin luggage so I can get in and out of the airport quite swiftly. While I was looking for suitcases online, I noticed an email popped up on my inbox. To my complete surprise it was from Kipling about a suitcase collaboration. It felt like magic that I was looking for a suitcase and Kipling emailed me about a blog collaboration about suitcase. Well they say the universe conspires for you when you need something badly. I know I am being overdramatic but it is really good coincidence and timing. 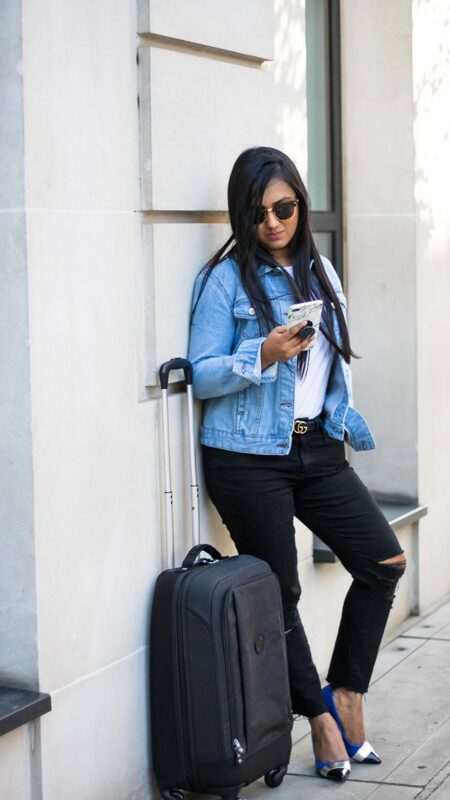 I was really excited and decided to try the Super Hybrid S suitcase as it looked quite stylish and lightweight. For all those who don’t know about Kipling, it is a Belgium based branded founded since 1987 by three designer pals in Antwerp. Working on the primary agenda, Kipling is there to provide you with styling and functional designs at affordable prices. 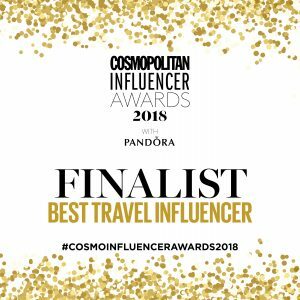 The Kipling bags have become a wardrobe favourite for women across the world. With the advent of summer, the brand launched it’s new summer collection. Part of this new collection, the New Super Hybrid suitcase is an allrounder. 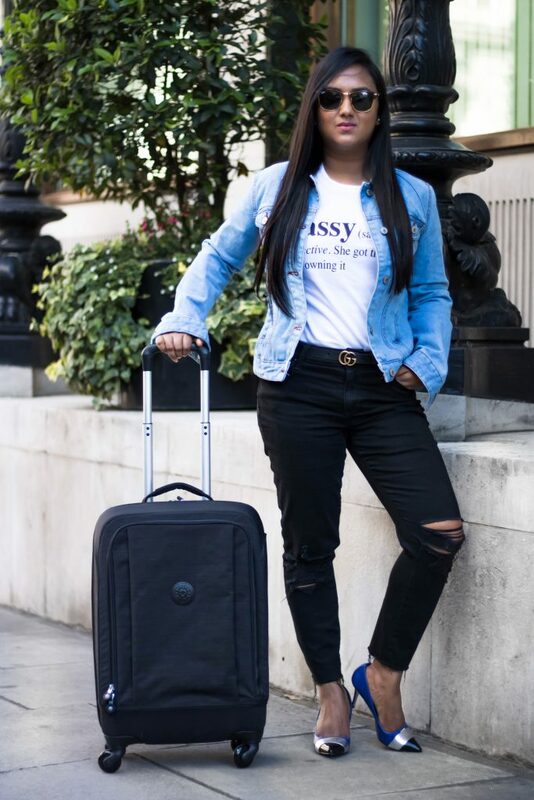 Being an adaptable, durable and compact travel gear, it is one of the best choice for my upcoming holiday as all my belongings will fit in one place and it will be easy for me to carry it around. Not only to mention it features and functionalities but here I am also going to mention about its style and colour that is another plus point which grabbed my attention. 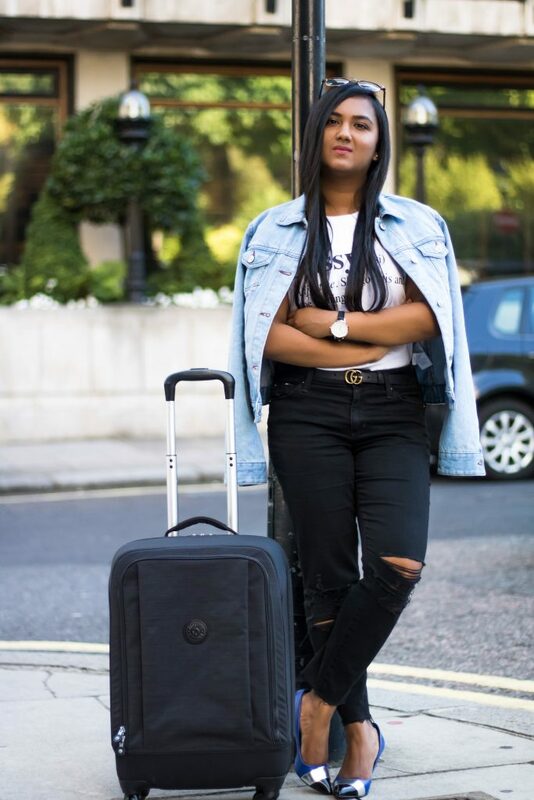 The New Super Hybrid suitcase (in small) in black with spacious compartments in a handy size, not only has enough room to fit all my stuff at one place but also to keep up with the safety of my belongings. The bag carries a zippered closure to make sure that all the contents are secure. 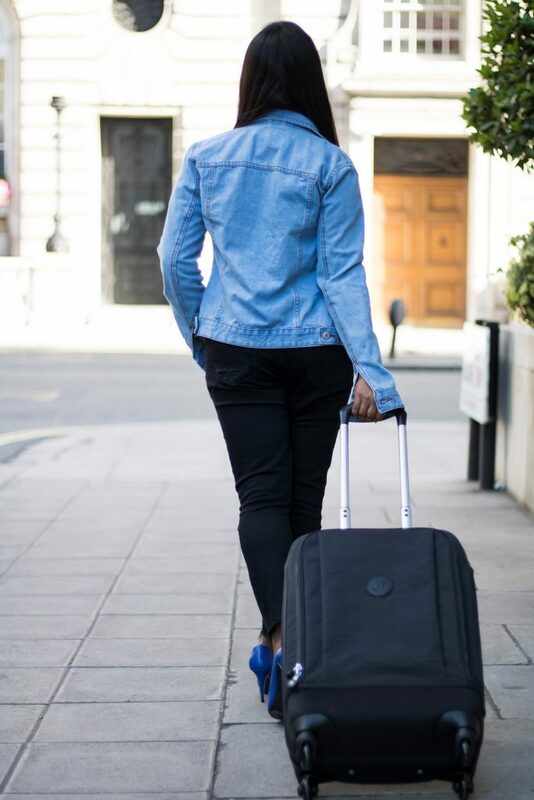 With any easy wheel system, this travel case was so easy to carry anywhere without difficulty with an extendable handle. Apart from all these features and its ravishing style, it comes with a great deal of durability with sturdy shell bottom. What a great deal I must say!! Like it is a lifetime investment to make my journeys less hectic and more comfortable. 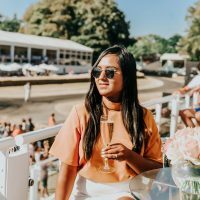 What are your favourite travel gear brands? Have ever used Kipling? Disclaimer: This post has been written in collaboration with Kipling but all opinions are 100% mine. 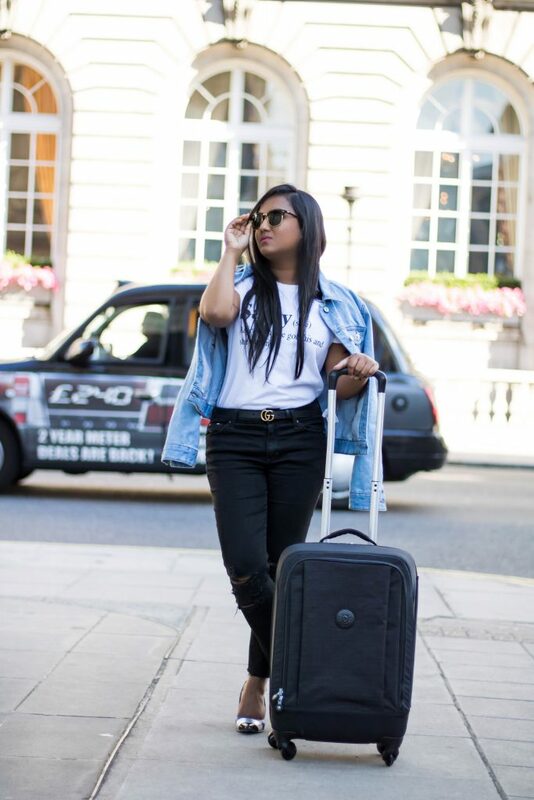 Just started following your blog and oh so loving this travel look. I am 4 feet 11 inches and it’s nice to find a look that works for us petite women.